Well, my jet setters, today is February 2nd...Groundhog Day...the day when the infamous Punxsutawney Phil either sees his shadow or doesn't and we either get six more weeks of winter or we don't. 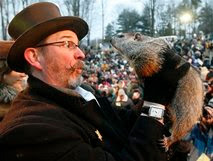 Just in case you didn't hear the news...Phil "saw" his shadow and predicted six more weeks of winter. BOO, Phil! I hate cold weather! Guess this just means we'll have to jet set somewhere warm within the next six weeks. 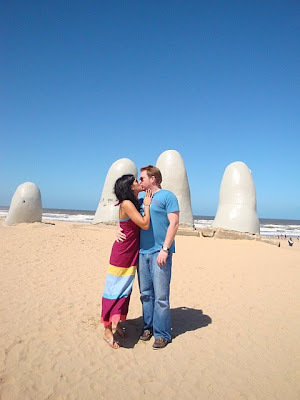 My top suggestion for where to head this time of year is the town of Jose Ignacio in Uruguay. 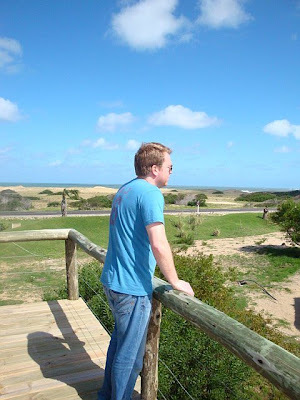 The beaches are absolutely beautiful...and it's still "undiscovered" enough that you will feel like you've discovered your own piece of heaven. We were there around this same time last year. 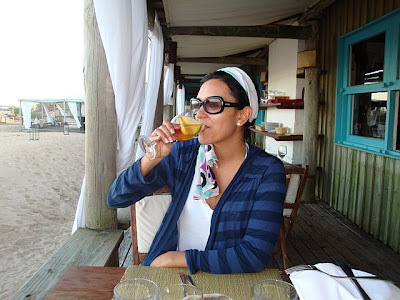 My favorite thing to do besides hang out at the pool and beach all day was to sip Clerico (Uruguay's version of Sangria made with white wine) and relax. 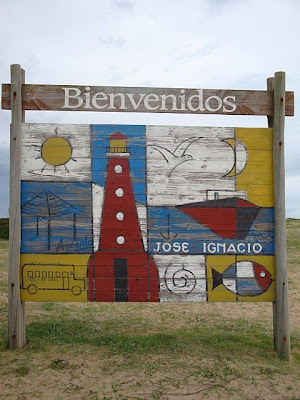 I would suggest jet setting there soon if you are interested, because funny enough, an article just came out about Jose Ignacio Beach in January's issue of Travel and Leisure Magazine, so you know what that means...it won't be long before it's "over-discovered" if you catch my drift!! !